Hurricanes can quickly exhaust birds flying into the storms' high headwinds, but the tempests can also provide great tailwinds, said Truitt. Last year, he tracked one Whimbrel, dubbed Hope, through Tropical Storm Gert off the coast of Nova Scotia. Hope averaged only 9 miles an hour into the storm's head winds, but once past the center, she enjoyed a stiff tailwind that sent her zipping along at 90 miles per hour. Not all birds make it through the center of a hurricane with ease. "Ocean-going and migratory birds have evolved to deal with inclement weather, but younger birds, especially those who may be making the passage for the first time, might not know what they are doing," said Frank Moore, an ornithologist at the University of Southern Mississippi. 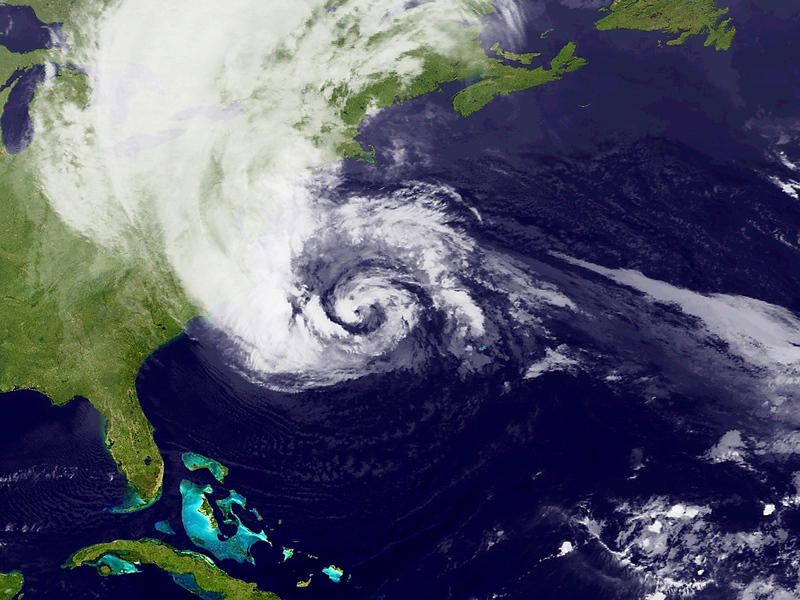 "A hurricane could have traumatic, negative consequences." Previous studies have found that bird species in a hurricane's path may experience long-term population losses. One report found that species as far as 60 miles from a hurricane's path took up to five years to rebound from the destruction of their forested habitat. © 2012 OurAmazingPlanet. All Rights Reserved.